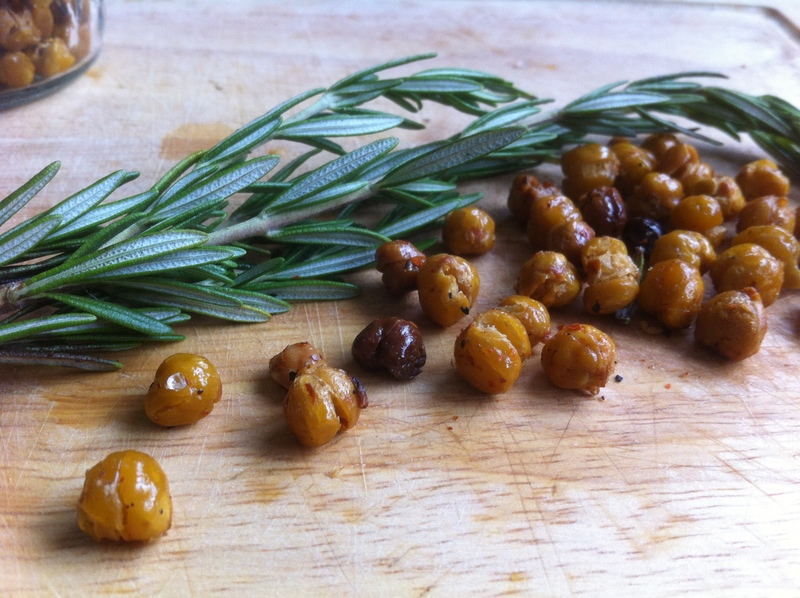 I’m not reinventing the wheel here people, but if you haven’t tried roasted chickpeas you probably should. The salt and oil measurements can be adjusted to your personal taste, as can the seasoning, plus a can of chickpeas is like what, a dollar? Hey-o to that! Red pepper flakes, optional, but why not spice it up a bit, right? In a medium bowl add chopped rosemary, minced garlic, and olive oil. Drain and rinse chickpeas under lukewarm water and pat dry. If you’re patient, remove the skins. If you’re in a hurry, toss them in with the rosemary and oil mixture. 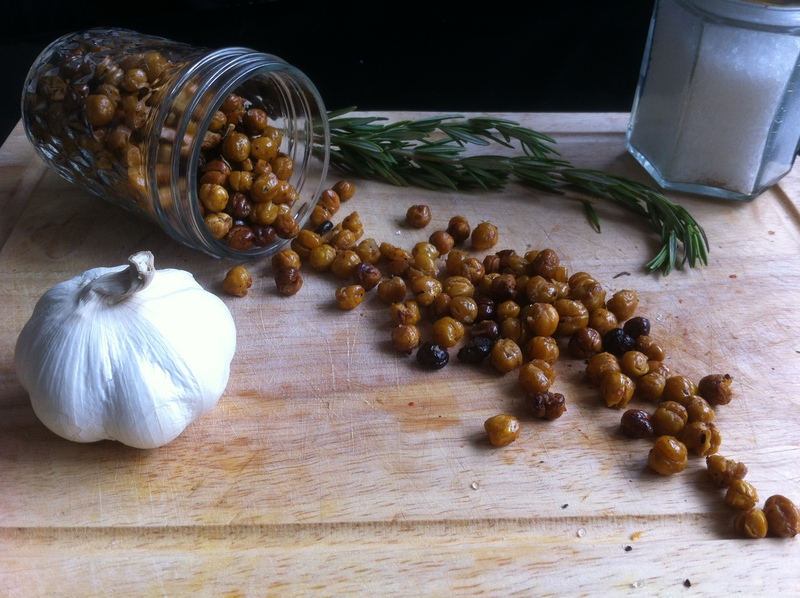 Toss chickpeas around in the bowl to fully coat. Add a pinch of salt. 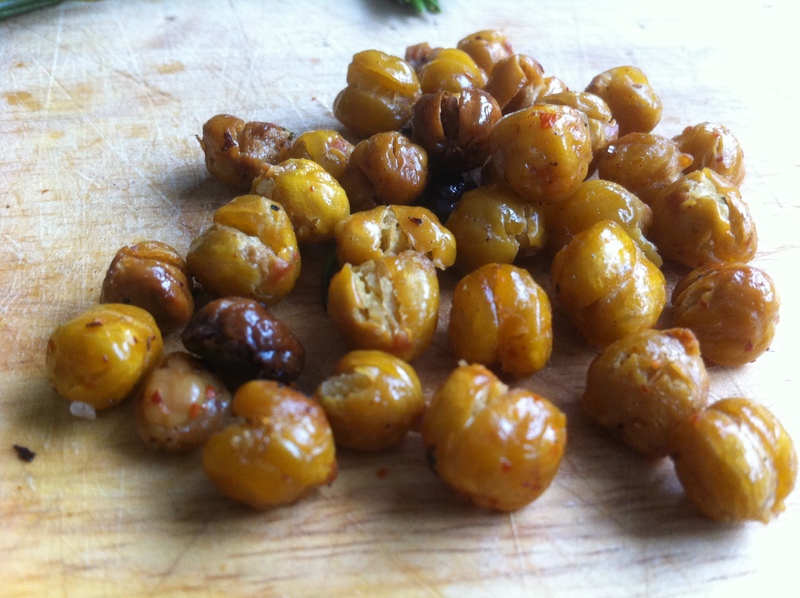 Pour chickpeas out on a baking sheet and cook for 30-45 minutes, depending on how crunchy you like ’em. After 15 minutes I shook the pan to rotate the chickpeas to ensure even baking. Remove from oven, season to taste with more sea salt and red pepper flakes.